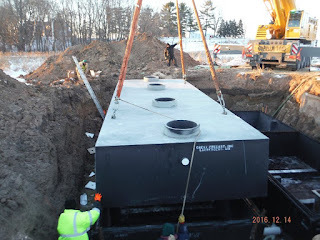 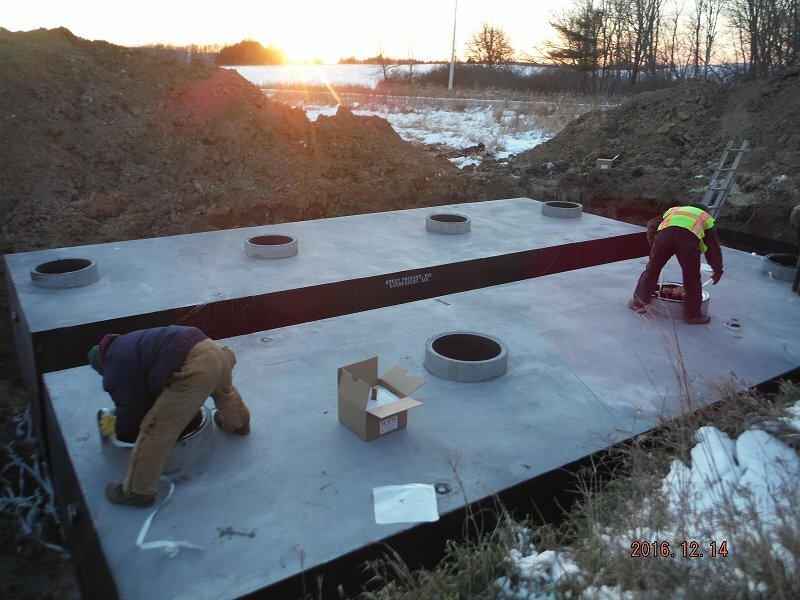 These two 12,000 gallon holding tanks where placed for Dupont Cheese plant in Central Wisconsin in 5 degree weather. 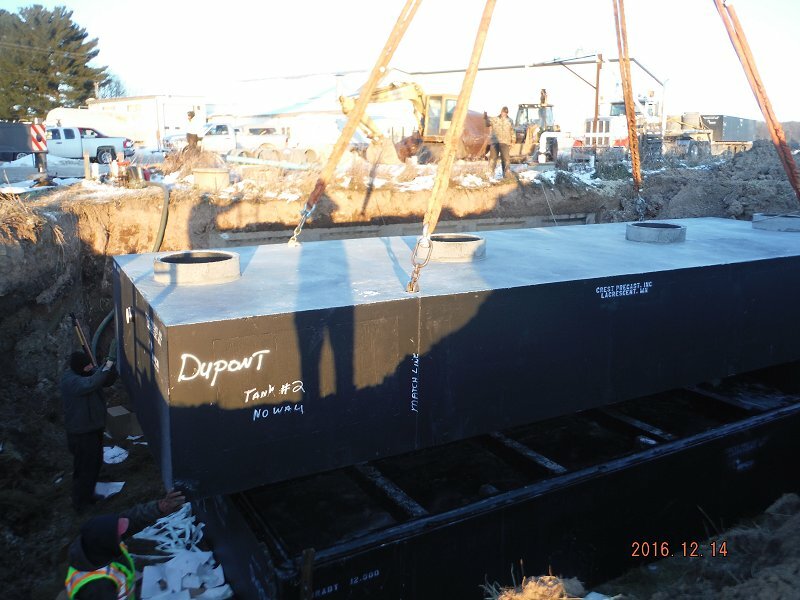 All weight-reducing waffles were removed on this tank to increase wall thickness. 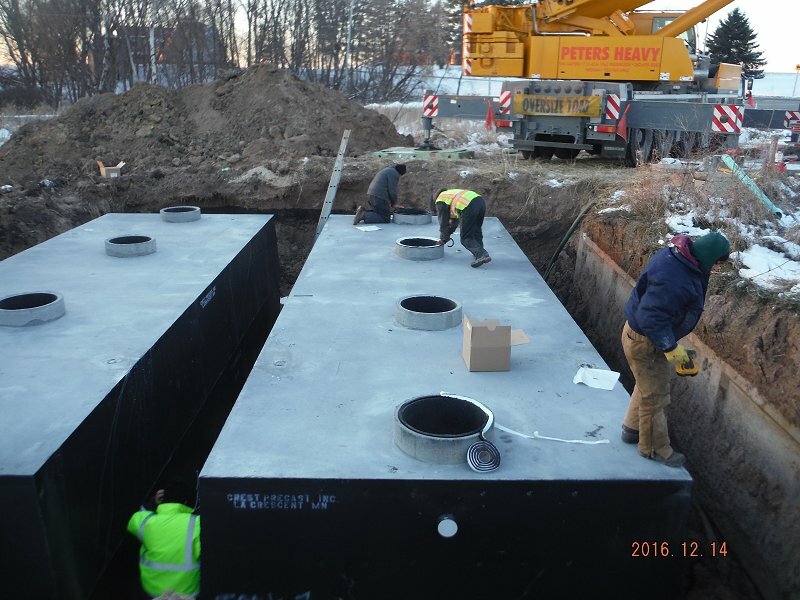 Increased thickness equals increased tank life in an acidic environment. The tanks have a special interior coating to withstand the low ph of the waste water. Interior Coating: Conseal 1800.